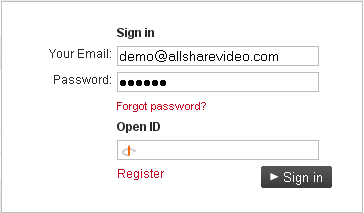 Users’ list can be sorted by nickname, email, registration date, group name, number of videos and friends. Administrator has full permissions to manage site members – add new and edit existing profiles, send message to a member or several members, activate/deactivate and remove profiles. 1) Standard – only email is required. CAPTCHA protects site from bots. The system doesn’t create any profile untill email address is confirmed. After email confirmation a user can start filling in the profile. No confirmation is required when a user registers with the help of an Open ID. If a user logs into the website and specifies standard login details, he will be able to login in either of 2 ways later on. All message are stored in Inbox, Outbox and Ignored. 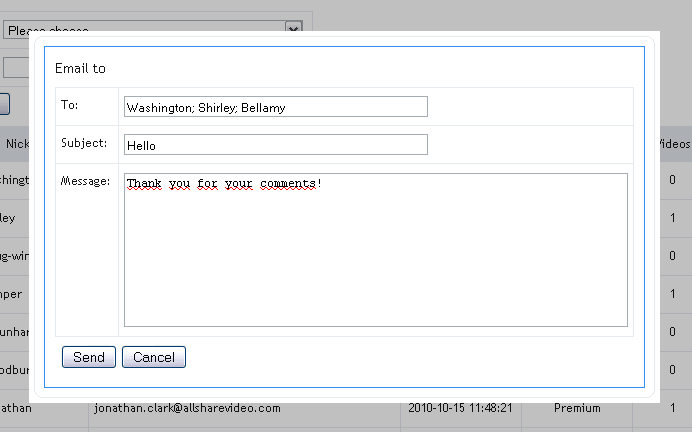 Inbox messages are divided into Personal, Shared video, Friend invites, Channel alerts and messages from Administrator. – Address book lists member friends, subscribers and ignored users.